I'm proud to announce that the very first printed edition of the guidebook Trekking in Tajikistan is now available. 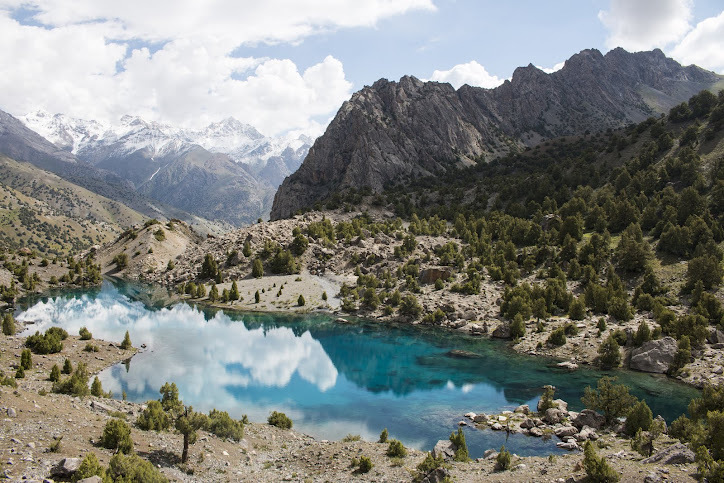 This project has come full circle after 9 years of making the decision to dedicate my time to promote trekking in the mountains of Tajikistan. I teamed up with Christine Oriol, who is one of the trainers and co-founders of Women Rockin' Pamirs, to turn the earlier published PDF into a real comprehensive trekking guide. It will be published by renowned UK publisher Cicerone Press, known for their outdoor guides and particularly walking guides. The cooperation has been great and I'm very happy to show this labour of love to the world. Book orders can be made via Cicerone Press among many other web shops and quality book stores. Cicerone ships worldwide for a very reasonable price. 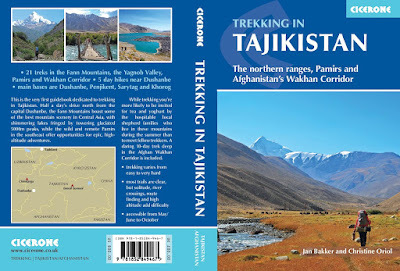 The self-published PDF Trekking in Tajikistan is not available anymore.